PBS’s NewsHour recently featured a segment by political reporter Lisa Desjardins, who visited rural North Carolina in search of roots of the Donald Trump political phenomenon. 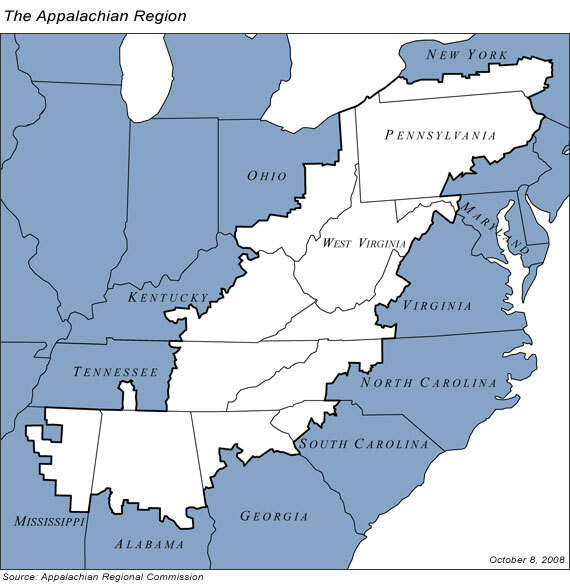 Her report echoes reporting by many other news outlets and follows a long tradition of rediscovering rural poverty in America’s Appalachian plateau. “In rural North Carolina,” she says, “voters say their struggles are being ignored.” Maybe they are being misunderstood. Luckily, Ms. Desjardins does a good job of letting her subjects tell their own stories. Turns out that they’re not so much angry as they are mourning the loss of a way of life. It is sadness at the loss of the underpinnings of the Appalachian culture—work, family, home, faith and self-sufficiency. With that collapse, the residents interviewed expressed a strong sense of being left behind as jobs and opportunity went elsewhere. Each interviewee, whether planning to vote or not, expressed the same pessimism and resignation. These politics are not so much electoral as it is cultural. The most successful social welfare program in the Appalachians in the 20th century was the creation of United Mine Workers of America. The victory of the UMW meant that a portion of the wealth extracted from the hills stayed in the community. Economic and community development emerged from this workplace equity. From the benefits of a steady livable wage, an entrepreneurial economy gradually replaced the “company town” where miners rented a company shack, shopped at the company store, and voted Republican like the mine bosses. Still, by the 1960s, the political power of the bosses clawed back many of the benefits won in the Depression and sustained by the boom in coal during World War II. Capital, the basis for development, moved to more lucrative opportunities as coal, light manufacturing, and tobacco slowly declined. One big takeaway from Ms. Desjardins’ story is, “Find a way to help us that doesn’t undermine our way of life.” Mr. Trudell was the only interviewee who offered a policy suggestion: Creating jobs repairing the infrastructure. This is reminiscent of the New Deal’s Works Progress Administration (WPA), which honored work, home, family and self-sufficiency in a way that food stamps and rent subsidies never could. Fitting these interviews into a political narrative had to be tough for Ms. Desjardins, who, seeking political insights, came away with sociological revelations about an unfamiliar culture. None better captures the Appalachian values than Leslie Dietz explaining her commitment to ethics, not politics. I kind of feel strongly about teaching them [children] in Sunday school, because I can make sure that they know the difference between right and wrong, what’s moral, what’s ethical, you know? And I really don’t want to get involved in something that I think is unethical.